Is it worth making Bi-Weekly Mortgage Payments? 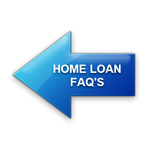 Loan servicers often send solicitations to homeowners touting the benefits of bi-weekly mortgage payments. This payment structure may, or may not be good for you. Bi-weekly payments do help you pay off the home quicker, as you‘re essentially making 13 payments per year instead of 12 (bi-weekly = 26 half payments = 13 full payments). However, these notices usually have a catch in that the servicers generally charge a fee to set up these bi-weekly payments for you (or they charge an ongoing processing fee). Remember, loan servicers are typically striving to put more money in THEIR pockets, not yours. If you want to accelerate the payoff of your loan by making extra loan payments, that can be a great idea! But, you can always do this on your own. If you decide to make extra payments, just make sure you indicate your intentions to have this extra money go toward principle at the time you make the payment. Let’s dive deeper to see if bi-weekly payments are good for you. Contact us any time with questions...we're here to help!